Marcelo is a Brazilian national, with a degree in Agriculture Engineering from the Federal University of Paraná, and an MBA from the Catholic University of Paraná. Marcelo has over 15 years of experience in Finance and Administration Management, has been holding CFO positions since 1994, and is based in Curitiba, Parana, Brazil. An Italian national, with a degree in Business from the University of Genova, Giuseppe has been a strategy consultant with Companies such as Nolan, Norton and Company, CSC Index, A.T. Kearney, and Arthur D. Little. Giuseppe has over 20 years of experience in managing complex international projects, and is based in Rome Italy. Marco is a Swiss national, with a degree in Economics from the University of Lausanne, and an MBA from INSEAD. Marco has over 25 years experience in Finance, Strategy, and Executive Management, has led several Latin American and European markets for Philip Morris, and is currently President Russia and Belarus, Philip Morris International, based in Moscow, Russia. Jorge is a Brazilian national, with a degree in Information Technology from the University Mackenzie-SP, and masters in Marketing from FGV/Rio and Production Engineering from UDESC / Joinville. Jorge has over 30 years of experience in IT business management, strategic planning, and private equity. He has been CEO of Datasul, leading the company through its IPO on the BOVESPA, and its successful merger with Totvs. 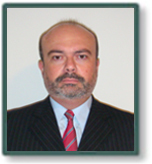 Jorge is currently Chairman of DLM Invista Asset Management, and he is based in Jonville, Santa Catarina, Brazil.